Definitely the best of this series. The battles are exciting & the characters were engaging, more than ever. 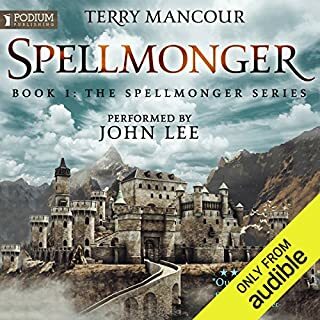 The narrator is very good, except for a couple of wrong pronunciations that really grated at me. He needs to get the word grimace right, it sounds small, but I found myself shouting out the right pronunciation every time I heard it in frustration. Other than this, he captured the characters really well. Decades from now the First Law will be noted as one of the great works of the 21st century. It is darkly insightful, humorous and emotional all at the same time. 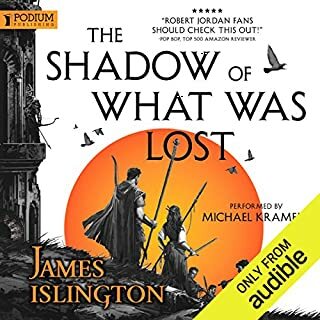 The world building is fine, and plot is airtight and the performance of the audiobook by Pacey is as good as a reading can get. 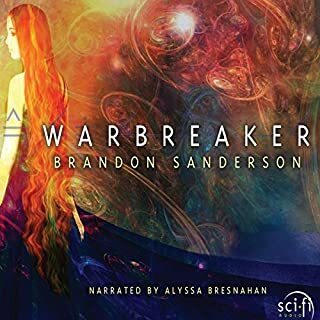 Easily one of the best audible books I have purchased. Mr Abercrombie has a real gift and his characters are sublime. Is there better than Sam Dam Glocter an absolute treat. My Pacey brings it all alive a true genius. I have all his books in print but The audible readings are fanatic. Get it!! 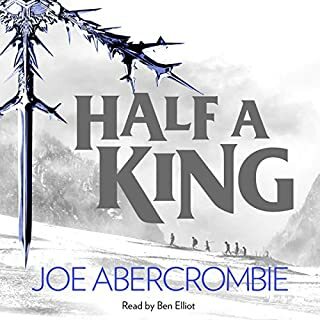 you can say one thing about Joe Abercrombie....he left us hanging at the end. but lets be realistic here...you can never have enough loose ends left blowing in the wind. 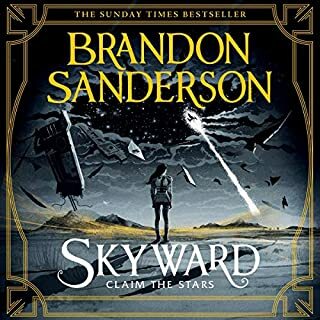 i loved this series but the ending has left me a bit WTF and empty...staring out at ruined gardens and lifting piles of rubbish to sesrch for much loved characters and how they faired...i think i will join Ardie in drowning my sorrows now. 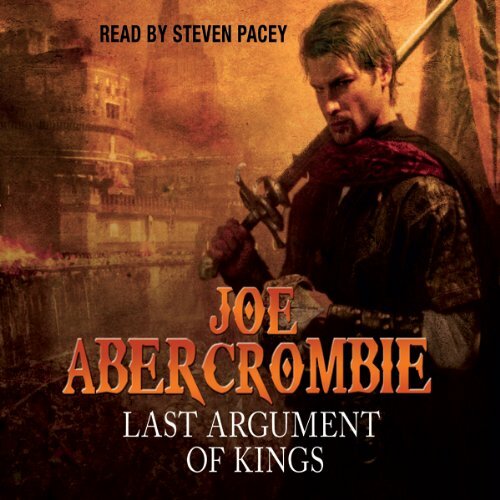 Stephen Pacey does an event job once again of bringing Joe Abercrombie's well fleshed out characters to life. The book spends the right amount of time wrapping up what becomes of the lead characters but still leaves you wanting more. 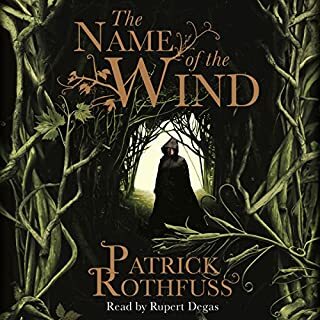 Just finished the 3rd in the First Law Trilogy. Where do i go now? Dammit but that was good. Didn't Adams have 5 books in his Hitch Hickers trilogy? Had a listen to Heroes but you'd miss the magic and skill of Pacey. I might just have to read that one. 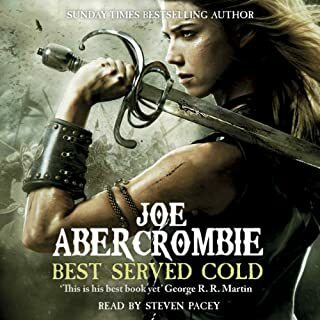 Say one thing for Joe Abercrombie, say he's a damn fine writer. Initially, I found the first book too slow. Too much scene setting and character building for me - I needed more action and kept waiting for it all to come together. However, having completed the trilogy, I now understand why the first book was like it was - and it certainly has its place. Loved the second book - all good action and great pace. Third book (this one) - again great story, and lots of pace, BUT, it ends with too many loose ends. 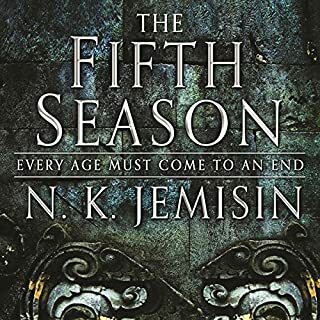 Whilst I get why it ended like it did, I needed more.....I was left feeling as though there needs to be a 4th book where the wrongs can be righted and the bad get their come-uppance. I'm a massive fan of epic fantasies, and this is just that. It's got loads of action, lots of battle scenes, and plenty of blood and swearing. Not really a "girlie" book (although I have to caveat that with an "I'm a girl and thoroughly enjoyed it" statement). All the characters are well developed, and fairly complex. Interesting how my feelings towards each of them changed as the story progressed and I got to know them better. Is it bizarre that my favourite characters turned out be a torturer and a schizophrenic killer??? If you're a fan of epics, and have a reasonably strong stomach, then this is highly recommended. I really enjoyed this trilogy - excellent writing and flawed characters whose lives you feel compelled to follow. However huge praise must also go to the narrator, who plays no small part in giving the world and its characters life. If only there was more to come about the Bloody-Nine......or is there??? 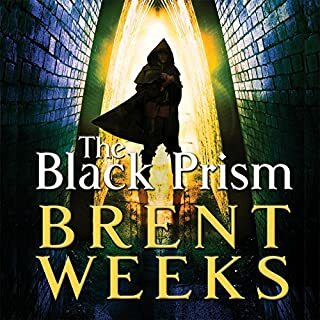 This book takes gritty realism to the fantasy genre. The point-of-view characters are all flawed in just the ways you'd expect of them living in this excellently described corrupt land. It manages to make heroes of of the vain, the uncaring and the bullies. Some struggle with their nature, trying to be better people, but never quite having the chance to. It is a fantasy world devoid of the usual black and whites, and instead populated by utterly refreshing shades of grey. What a super trilogy and I am very sorry that after 70 hours of listening it's all over. 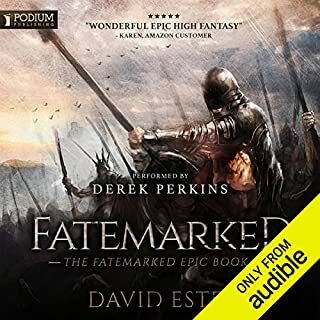 Well if you are reading this I assume that you have read/listened to parts 1 and 2 (also on audible if you haven't and do listen in order) and want to know if part 3 measures up to the high standards as before. the answer is resoundingly yes. 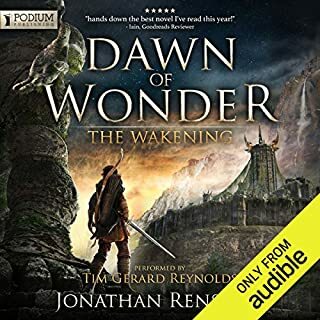 There is a lot more action in part 3 but the same strengths apply - very good writing, excellent plot and characters and quite brilliant narration by Stephen Pacey. I wont give a hint of how it all ends as that might spoil things; suffice it to say that the ending is quite in keeping with what has gone before! A five star listen without a doubt. Would you listen to Last Argument of Kings again? Why? Glokta - menacing, unintentionally funny but with a certain warmth. Ferro is great as well. What does Steven Pacey bring to the story that you wouldn’t experience if you had only read the book? 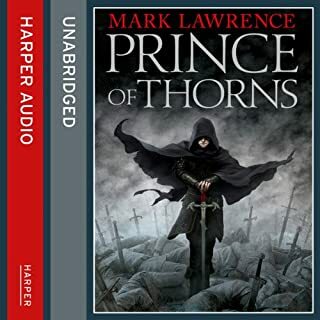 I read the first book myself but Pacey's audio just brings the book to life. He's very good at doing different voices and he has excellent command and pace. Was good to hear the pronunciation of some of the names as well. 27 hours in one sitting?! I don't think so. However, the length was not an issue at all as I only listen whilst at work anyway so been very good to dip in and out of the audio. stunning, brutal, cant wait for more! the whole trilogy is not to be missed. a very raw and gripping story from start to finish. unlike many books, this has no periods of tedious narrating, it is gripping from first to last page. Characters that are so well defined it is easy to identify with them and understand them. 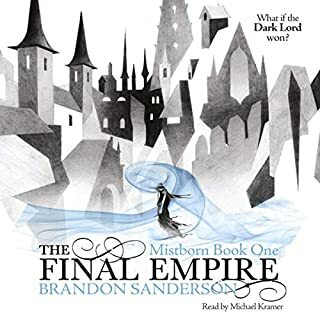 i would say that any self respecting fan of fantasy must definanely read this series! 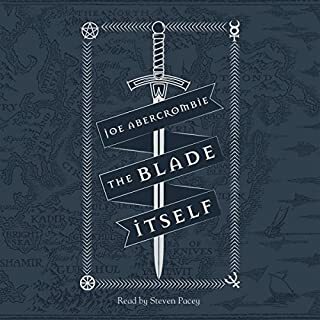 This is my first Abercrombe book series. I really enjoyed the book and look forward to his other books. Steven Pacey is indeed an excellent performer. I didn't want the narration to end. What a series. 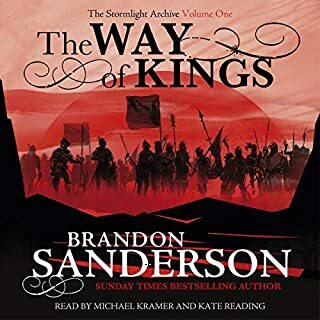 I am use to rambling long epics (wheel of time being one that immediately comes to mind) and for this series to actually finish in 3 books was a novelty, but I was left wondering if this was a little rushed towards the end - there were so many paths that this book could have taken and at the end I was left with the feeling that the easiest route may have been taken. 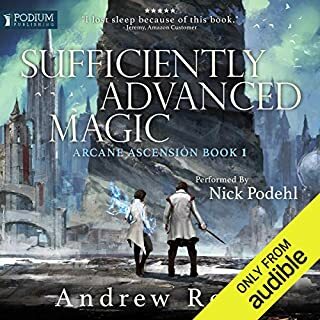 All that said - a very enjoyable listen and good narration [except for the narrators "grimAcing"] which got very very annoying in this trilogy and make me wince each time the word was said. 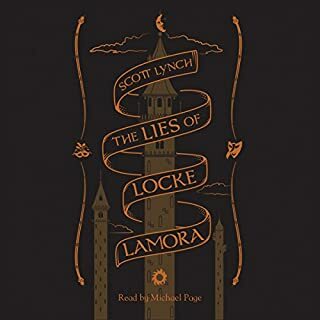 I seem to have used up all the superlatives in my reviews of the previous two books in this series, so suffice it to say that this book is much the same in quality as its predecessors. 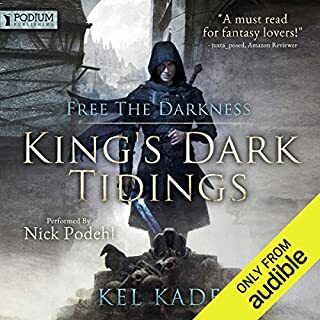 The author balances tying up the loose ends of all the stories threads to the satisfaction of the reader (which to my opinion he does admirably) with keeping characters he has developed an affection for alive-and-kicking should he need them again! This trilogy was great fun from start to finish and I would recommend them for their blood'n'guts violence, inept romantic hero, wealth of psychotic anti-heroes, humour and underlying intelligence.